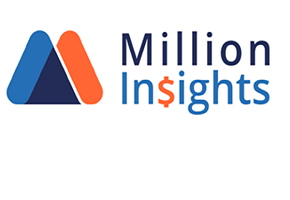 The global In Vitro Diagnostics (IVD) Quality Control Market is anticipated to reach USD 1.13 billion by 2024. The rising number of certified clinical laboratories requires quality control (QC) services to maintain their standards, associated with the increasing acceptance of third party providers of quality control services, to ensure the accurate and reproducible test results, and better outcomes which is anticipated to drive the growth. For the establishment of definite standards of quality, the internal Quality Control (QC) programs and the external QAS (Quality Assurance Schemes) is very important to ensure validity and reliability of the test results obtained by the IVD devices. These programs are essential in confirming the delivery of patient diagnostic outcomes, which are reliable and without errors, such as misdiagnosis because of device-related errors, which can impact the health of the patient. The regulation of these In vitro diagnostics devices are controlled by the respective regulatory bodies, which includes the U.S. FDA (Food and Drug Administration), the International Medical Device Regulators Forum (IMDRF), the European Commission, the Australian Therapeutic Goods Administration (TGA), the Eurasian Economic Union (EEU) and the Brazilian National Health Surveillance Agency (ANVISA). The currently undergoing, extensive R&D related activities beside the introduction of new laws with the aim of improving the efficacy and safety levels of the IVD services are anticipated to drive market growth. For example, in September 2012, a new regulation for IVD devices was published by the European Commission targeted to enhance the transparency, safety and the traceability without constraining innovation. These new regulatory inclusions are anticipated to drive the market growth. There are numerous applications of the IVDs, which includes haematology, immunology, coagulation, clinical chemistry, molecular diagnostics and microbiology. Amongst these all, molecular diagnostics is anticipated to be the fastest growing market segment with 4.88% CAGR. The frequent usage of the technologies in the molecular diagnostics, such as gene expression and PCR, high accuracy and specificity are some of the responsible factors associated with its high growth. The hospitals market segment was valued the largest market segment of over 46.0% in 2016 owing to the high application of IVD tests in hospitals and the necessity of obedience with the IVD directives for the product traceability. The home care market segment is anticipated to observe a lucrative progression owing to the persistent increase in the usage devices for point-of-care testing. The rise in adoption of microchip technology which is used to handle fluids in IVD equipment, as well as the enhanced production processes and the miniaturization technology are creating efficient point-of-care devices, which are very less susceptible to errors. In 2016, largest market share of the IVD quality control market was found to be of North America with revenue of approximately USD over 400.0 million. The existence of a huge number of qualified clinical laboratories, a good distribution network and the rising number of IVD products approvals having assured safety and quality from the regulatory authorities are some of the major driving factors. The Asia Pacific region had the highest CAGR of over 4.8% owing to the rising government efforts for the standardization of the testing procedures of the clinical laboratory to improve accuracy of results. Some major key players of the IVD quality control market includes Siemens Healthcare GmbH, Alere, Inc., Roche Diagnostics, Abbott Laboratories, Inc., Qiagen N.V., Hologic, Inc. (Gen-Probe), Bio-Rad Laboratories, Inc., Becton, Dickinson and Company(BD), Quidel Corporation, bioMerieux, Inc., Thermo Fisher Scientific, Inc., Sero AS and Sysmex Corporation.